Qantas is delighted to be the Official Airline Partner for the International Congress of Inborn Errors of Metabolism in 2021. Qantas, in conjunction with our partner airlines, are offering registered attendees and travel partner’s special discounted airfares which are easily booked online via the dedicated booking portal, plus free membership to the Qantas Frequent Flyers Program. The booking portal will be released 12 months out from the Congress. Please note: multiple stopover flights are excluded from this offer. Qantas Frequent Flyer is one of the world’s best airline loyalty programs. 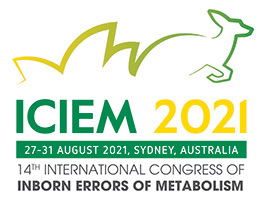 Joining usually costs $89.50, but International Congress of Inborn Errors of Metabolism 2021 attendees can join for free. Earn Qantas Points almost everywhere you go, and use them for fantastic rewards. Our most popular rewards are Reward Flights. But even if you don’t plan to use your points to fly, there’s plenty to look forward to, such as products from the Qantas Store, hotel accommodation and food and wine. For many international flights, your points can earn you a free domestic flight to see more of Australia. Or simply keep your points and redeem after you return home with your own local One World Airline Partner in your region. Join our mailing list to be kept up to date with information on the Congress.